…said Linda Duffy when she heard of the PDC’s plan to offer two places for women in the World Championship. Furthermore, she stated her belief that it is unfair when women must play against men. Of course, she has an explanation for this disconcerting opinion – Duffy believes in the empirically underpinned conviction that there are physical reasons why women will never be as good as men in this sport. 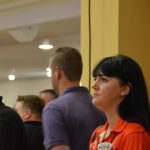 Completely unimpressed by Duffy’s statements, many of the top female players saw the offer by the PDC as a chance and took part in the qualifiers – with Lisa Ashton and Anastasia Dobromyslova, two of the best, winning qualifiers. Both lost their world championship matches but in the first set between Ashton and Jan Dekker, Ashton tallied an over 100 average and made Dekker break out in sweat. She couldn’t keep up and, in the end, Dekker won 3-1 with an 88.95 average but Ashton’s overall average was with 88.65, only minimally lower. Dobromyslova didn’t have a good day and lost 0-3 against Ryan Joyce. The PDC was very pleased with how it all went, and CEO Matthew Porter announced that the PDC would offer two places for women again in the next World Championship. It might well be that this was only a novelty, but I got the impression the crowd and the media both reacted very positively and received the two women cordially. The reactions to the matches were positive as well, especially Lisa Ashton’s performance which was praised throughout. Of course, one could read posts like “the women took two places away from the men” or “an all-female qualification is not a real qualification,” but those were a minority. Against the not too recent practice of not televising the ladies’ matches at all or scheduling them schedule them at the very start of the sessions when the venue is still half empty, now-a-days the ladies’ matches are embedded between the men’s matches. And so, if you don’t leave the sofa or armchair purposely to clean the dishes or switch to football or take some similar action you have to watch the ladies’ matches too (I really would like to know whether audience numbers during the ladies’ matches were lower.) 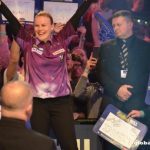 Sadly, this year, we had to watch some very weak performances – for example, Laura Turner completely cracked at her debut on the Lakeside stage – but there were some impressive achievements as well. To be sure, Mikuru Suzuki’s final will not soon be forgotten. It is not yet known whether the participating women now will play the complete Challenge Tour – probably, as last year, they will if the dates don’t conflict with important BDO/WDF competitions. And it is quite likely we will see Lisa Ashton from time to time as a successor on the Pro Tour when not all 128 Tour Card holders register, which often is the case. All in all, the women left a fair impression – in the World Championships and the Qualifying School. In my mind one cannot yet tell whether they will be able to keep up with the men in the long run – notwithstanding empirical insights about the gender differences and throwing capabilities. Until now, only Deta Hedman and Anastasia Dobromyslova have tried their luck on the PDC Pro Tour. They were not successful, but one could say the same about at least half of the men’s participants as well. The sport of darts is more about accuracy from a short distance so it might be that the limited throwing ability of women doesn’t figure as prominently as for example in javelin. 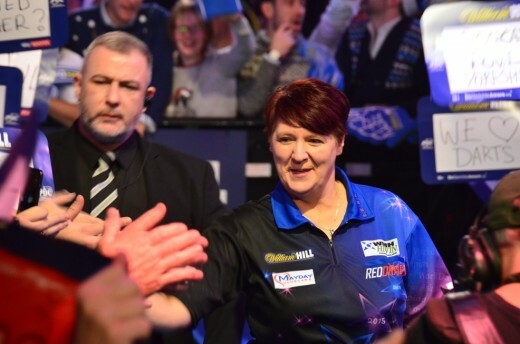 I fear Duffy is right when she says women will not be able to keep up with the top players like Michael van Gerwen or Phil Taylor – but again you can say that most of the male players can’t keep up with them either. I feel the women have improved during the last few years and I think it could be possible they will be able to earn a living on the Pro Tour one day. 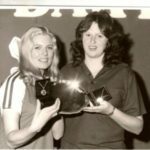 I completely agree with Duffy – it would help women’s darts much more if reasonable structures like the PDC Development Tour or the PDC Challenge Tour existed for them – but it doesn’t look likely this will happen anytime soon. So, currently, the women have no other option than to grab all chances presented to them whether they are a publicity stunt or not and make the best of it. The two women in the World Championships certainly increased the interest in the women’s sport of darts and the women got some experience on the Big Stage of the sport in front of a huge and noisy crowd and earned some decent price money – to be sure a positive outcome. It might be appearances like this make the sport more appealing for young girls as well as women. That would be another positive effect – as with a growing interest the odds are good there’ll be more female players and with that, in the end, more good female players. Until now, the number of participants in women’s or girl’s competitions have been distinctively lower than the number of participants in men’s or boy’s competitions. Even in the JDC events you’ll find far less girls. It even looks as there’ll be some tangible positive consequences soon. Desmond Jacklin, the new chairman of the BDO, announced that the prize money for the women’s World Championship will be distinctly increased and the format extended – something the players have asked for for years. 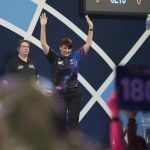 So, whether what the PDC did was “only a publicity stunt,” by allowing it to happen – and given Jacklin’s announcement on behalf of the BDO – the actions of the courageous ladies who grabbed these opportunities have drawn fresh attention to their side of the sport and appear to be moving it in a positive direction.